The emerging “standard narrative” of the March 22 coup d’état i n Mali, which until this month was considered one of West Africa’s model democracies, centers on the rebellion in Mali’s north. Smarting from the recent loss of their Amachach base to (mostly Tuareg) MNLA rebels, Malian troops demanded answers from their commanders and civilian leadership on Wednesday, March 21. When these answers proved unsatisfactory, the troops launched a mutiny that soon morphed into a full-blown putsch, toppling the country’s democratically elected president, Amadou Toumani Touré (known as “ATT”), who was due to step down this June after 10 years in office. The coup leaders acted because they sensed the state’s incapacity to deal with a broad spectrum of issues, and realized there was a void they could fill. Military setbacks at rebel hands provided the spark that ignited long-simmering discontent based on mounting perceptions of a broken government that was no longer protecting the Malian people’s welfare. 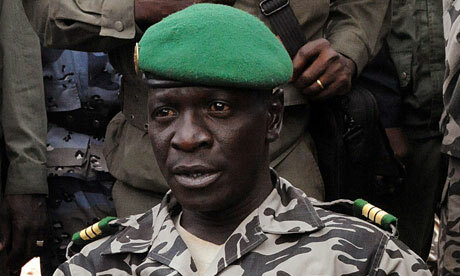 When Malians take stock of the last decade, Touré receives much of the blame for this state of affairs. To critics, his “rule by consensus” approach actually meant the co-optation of opposition, the muzzling of dissent, the tolerance of corruption, and the triumph of expediency over political principle. ATT’s desire to head off political conflict made him willing to compromise on anything in the name of preserving la paix sociale (social harmony), ultimately undermining his effectiveness as a leader. By the time of his ouster last week, he had long since lost the confidence not only of the military but of many of his former supporters. And ATT’s governing style weakened more than his people’s faith in him; it weakened their faith in their country’s republican institutions. The rule of law was undercut by the president’s reluctance to crack down on corruption, creating a culture of impunity in which powerful individuals had free reign to loot public resources and expropriate property — especially land in and around Bamako — from anyone weaker. Since opposing voices within Mali’s political class had been either silenced or bought off through ATT’s “consensus” approach, the regular checks and balances of constitutional rule had been effectively short-circuited. Such was ATT’s unpopularity when the coup occurred that few Malians have risen up or spoken up to defend him or the institutions the coup overturned. The issue now, for most Malians, is not whether he should be reinstated, but how best to legitimize his departure, most likely through his resignation (once his whereabouts are known). 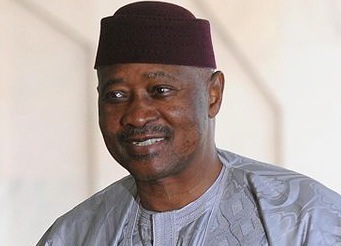 Given the lack of public outcry here against the putsch, it is hard to believe that crowds would mobilize in Bamako to demand ATT’s return; on the contrary, at a time when Malians perceive unprecedented threats to their nation, his reputation for ineffectiveness could mobilize crowds to oppose any such move. None of this means the coup or its leaders are especially popular, or that Malians don’t want a speedy return to constitutional rule. Most do want meaningful rule of law and truly representative democracy. (Recall that even the coup leaders named their junta the National Committee for the Return of Democracy and the Restoration of the State, if nothing else acknowledging Malians’ demand for democratic government.) What the Malians I’ve spoken with do not want is a return to the complacent, ineffectual approach that has characterized Malian national politics in recent years, one they feel was democratic in name only. If recent statements from Paris are any indication, the French government may not insist on ATT’s reinstatement, even as it presses the coup leaders to reinstate constitutional rule. I have written elsewhere of the “tyranny of improvisation” and the inherent risks of addressing political crises through extra-constitutional measures: in West Africa, those who take power by force vowing to organize democratic elections have a poor track record of delivering on their promises. Moreover, Mali’s March 22 coup continues a terrible precedent, reinforcing the notion that in desperate times, individuals can use the power of the gun to press the state’s “reset button,” dissolving the institutions of government rather than working through them to effect needed changes. Such an improvisational course is always dangerous, since leaders who lack effective institutional oversight are prone to every type of undemocratic and abusive behavior. The question Malians have struggled with in 2012 is whether it can be more dangerous to adhere to a constitutional course of action when state institutions are compromised and have lost the trust of the people they are meant to govern. This entry was posted in Uncategorized and tagged Amadou Toumani Toure, bamako, coup, mali. Bookmark the permalink. 19 Responses to Good riddance, ATT? Thanks for this blog. It is providing a very informative window. “Vu la réticence des mutins à déposer les armes,et pour éviter des effusions de sang,le PDES, par ma personne a décidé après concertation avec d’autres partis politiques et des représentants de la société civile, à participer à la MANIFESTATION PACIFIQUE DE CE LUNDI 26 MARS 2012 A LA BOURSE DU TRAVAIL DE BAMAKO pour éviter la division au sein de notre force armée et la LIBÉRATION IMMÉDIATE des membres du gouvernement assignés à résidence de cela 5 jours. Expediency seems to be the name of the game these days, not only in Mali. Think US drones over Afghanistan which are in effect judge, jury and hangman. I agree that taking over a government by force to restore democracy is less than optimal, but then again, how else are democracies born? If the “elected” leader is in place because of corrupt elections, was he really elected? I’m not arguing with you. I agree that a military takeover is a very risky way to achieve reform. You just raise intriguing questions. I like your phrase “tyranny of improvisation.” I also like this sentence: “What the Malians I’ve spoken with do not want is a return to the complacent, ineffectual approach that has characterized Malian national politics in recent years, one they feel was democratic in name only.” Equally true in the US right now. Your observations about the stick and hunting shirt are interesting. Here’s a guy sporting all the talismans he can think of, including US Marines insignia. Brilliant or superstitious? Awesome. The way thing thing went down, and the lead up to it had the signs of something relatively more organized… hope things continue progressing that way. p.s. given your concerns, do you think you’ll stay for the rest of your Fulbright tenure? Very hard to say. Security-wise, the short-term situation seems amenable to staying on. Politically and economically, if the coup is not “resolved” somehow (most likely by the CNRDR handing over power to some civilian transitional figure), Mali will become increasingly isolated internationally, which will be a serious blow to a poor, landlocked country. And the US govt. may decide to pull us out. I hope it won’t come to that. Thanks for your excellent reports on the Malian political situation. As a Malian, I’m very sad for this situation. I’m ashamed to be a national of country where the army leads a coup d’etat to pretentiously restore democracy! Do they really know what democracy means?? In a democracy, when a president loses the confidence of the population, there are elections to fire him off, just like what Senegal has just done. And in the case of Mali, ATT made it clear that he is not interested in any other presidential term. So why this coup? This coup ruins 20 years of important achievements in terms of democracy and institutional reforms. And the ennemies of Mali are the rebels fighting in the northern part of Mali but these coup leaders and their supporters who are just trying to benefit from this sad situation. I’ve enjoyed your blog, but I’m a little shocked that you would buy into and give credence to the narrative of the coup plotters: that they are there to save democracy from the current corrupt government. I’m even more surprised that Malian intellectuals abroad would do so. Yes Malian civil society is corrupt, as are many of the democratic institutions and actors. But corrupt politicians do get voted out of office in Mali. So far politicians get voted out for corruption primarily in local elections, but that’s a start. The alternative is not some new political nirvana free of corrupt politicians, that some of the above commentators think might exist, it’s a dictatorship likely to be run by 3 junior officers who have none of the skills necessary to run a country. Apparently no one in Mali accurately remembers the Moussa Traoré dictatorship when the Malian population was beaten into a sense of hopelessness, salaries weren’t paid, kids starved daily [even in years with good rains], there was no way to remove corrupt officials, and the president made off with airplane loads of gold. I was a PCV during that period and I can tell you, whatever the problems of the ATT regime, the country has made a huge amount of progress since 1991. How quickly Malians have forgotten what military dictatorship looks like. How sad. I wholly agree that the situation is sad, Jeremy, and I didn’t mean to convey support for the coup or acceptance of its plotters’ justifications. The mutineers were looking for an angle with which to ingratiate themselves to the Malian public and forestall opposition, and they’ve found one that works. My intent in this post was to describe why, if so many Malians support democracy, so few of them are willing to stand up for their democratically elected president. Mali’s public institutions aren’t strong enough yet for people to put themselves at risk defending them; they see no sense, for example, in sticking their necks out for a president they don’t like. It’s also worth pointing out that most of the CNRDR’s men haven’t forgotten what dictatorship looks like, because they are actually too young to remember the pre-democracy era, and for that matter so is most of Mali’s population. What I am mostly left with is worry. I am worried that fear of punishment, being ostracized, or some other form of retribution may well be silencing a great deal of much needed and valuable public discourse. With the public and private radio stations now back up again, is there much free expression of opinions concerning the coup and it’s real, potential, and perceived aftermath on the air waves? I would be very interested to hear. Also, knowing how much and how often Malian musicians have used their position in society to make statements concerning a great number of matters, I am wondering if any of the prominent musical stars have taken positions for or against the coup and/or the situation in the north? I am quite certain that Ali Farka Toure, (Alla ka hine a la) would have been very outspoken vis-a-vis the fighting in the north and the MNLA’s attack(s) on his beloved Niafunke (of which he had been mayor) in the recent past. I, personally, am very worried about the situation in the north and how the political turmoil in the south could quite easily open the door for some unchecked military advances by the MNLA that could be extremely difficult to reverse. I understand the the Malian army was able to repulse an attack on Kidal over the weekend, but how long will the Malian army be able to hold onto some of the distant cities and towns in the north, including the major ones of Gao, Kidal, and Tombouctou, that are so treasured by the MNLA? I also worry about the possibility of increased political factionalism (which could turn violent) and increased tension and division on ethnic lines. The reprisal vandalism, looting, and violence against the Tuareg population residing in Bamako in response to MNLA victories in the north is a clear example of the latter. I hope that the majority of Malians throughout the country will be able to maintain a spirit of national unity and fraternity that will see the country through to greater stability and a return to peace. Keep up the great work, Bruce! As you can see from the comments, there are many people out there who greatly value your insights and the well-rounded reporting that you are doing! Alla ka nye ka d’a ma. Ka siniyirwalia nogoya Malila. Ka here caya jamana kono. Please tell me that you are the singer of Sonzani sogo song! Do you happen to have a video of it? I want to use the song to forget my sorrow. Please note that the video tracking is bad in the beginning but it gets better after about 25 seconds. Allah ka hamina ko nogoya. Ka here caya. Ka ko beh nogoya Malila. Ka hakili nyuman di mogoma. K’i dusukun suma. Ka famuyali ani beni caya Mali mogo nyogonce. Can you post your song here? Do you have it in youtube? Here is another analysis that addresses some of the “red flags” that collectively seem to have pointed towards the coup that just happened. I’m sure fear has been a factor, but nowadays it is actually difficult to find anyone in Bamako who likes ATT, and most people I talk to (in private, with no soldiers around) actually say they are glad to see him gone, though they also express disappointment about the coup. His popularity has definitely diminished over the last 3 years. He was much more popular in 2007 and I suspect he was legitimately reelected then, but his subsequent change of fortune has been quite surprising. I’ve encountered similar sentiments that you’ve described about the president, in the Kayes region, among those who are politically informed. Interesting analysis. I think the Malian reaction (or general apathy, lack thereof) could be difficult for outsiders to understand if the only point of view available in the international media explains the motive of the mutineers exclusively in terms of the Tuareg rebellion. It could be misinterpreted that most Malians support the mutineers, when in reality the media is failing to present the generalized frustration Malians have felt with ATT’s regime for a long time and for a variety of reasons. I’ve been hard pressed to find a report in the mainstream media that grasps this or really analyzes popular sentiment towards the coup. Thanks for your insight.